Electricity is becoming expensive with each passing day and more people are getting interested in using solar energy to meet their electricity needs. Power cuts and dependence on DG sets is making people look for more and better sources. Solar PV panels provide a very good alternative. Ministry of New and Renewable Energy (MNRE), Government of India is also promoting solar PV systems under the Jawaharlal Nehru National Solar Mission in the country. They also provide a subsidy to people buying solar panels under this scheme. There are a lot of people keen to buy solar panels in India so we thought of doing a research on the solar panel price in India in 2019. As per our research (on e-commerce sites selling solar PV) and resources from the solar PV industry, cost of a PV module (just the panel) costs anywhere between Rs 30 to Rs 50 per watt of power generated (depending on the quantity you are buying). The modules having higher Watt power capacity are cheaper per Wp as compared to modules with lower Watt power capacity. 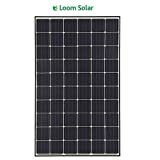 The efficiency of solar panels is also better for modules of higher Watt power as compared to modules of lower Watt power. 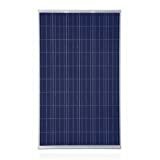 There is not much difference in price between imported and Indian solar panels. But if you are looking for a subsidy, then the only option that you have is to go for Made in India panels. 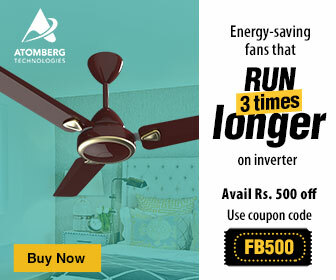 If you are living in an area where power cuts are less frequent and you want to implement solar PV system to reduce your electricity bills then the best solution would be to go for a Grid Connected Solar PV System. It will cost you anywhere between 50,000-70,000 per kWp (cost varies based on the type of inverter and panels you choose). To get a step by step procedure to install the same, check our post: How to get a “Grid Connected” Solar PV Rooftop System in India – a step by step procedure. If you are living in an area where there are frequent power cuts, then the best solution for you would be to go for an “Off Grid” Solar PV System. Off Grid Solar PV system will include batteries, which are an expensive part of the system and these would need replacement every few years (4-7 years). A typical Off Grid Solar PV System would cost about Rs 1 lakh. There are two types of Solar PV Cells: Monocrystalline and Polycrystalline. The difference between the two is that Monocrystalline is made of single silicon crystal whereas Multi-crystalline PV is made up of multiple crystals. A monocrystalline is more efficient in converting solar energy into electricity per sq meter area than a multi-crystalline PV. Thus the space required for the same amount of wattage is less in monocrystalline PV panel. Thus it is costlier than a Multi-crystalline PV. 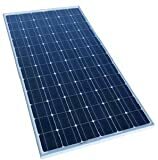 The modules available in India are mostly “Polycrystalline”. Typical efficiency of panels available in India is between 13-19%. Please note that lower the efficiency, more panels you would need to get the same amount of electricity and it will occupy more rooftop area. 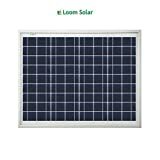 We have collected some data from various e-commerce sites selling solar panels in India and below is the data that we have collected and analyzed. As you can see, the costs get better when the size of panels increase. Also the best selling range is the most economical. So if you want to buy a Monocrystalline 19% efficiency panels or Polycrystalline 17% efficiency panels, then they are the most economical. Note: This data has been provided just for your information to help you take a decision. Bijli Bachao website does not sell solar panels and this data is collected from online websites that sell solar panels. The data is further analyzed to give you some idea on prices. Add all the appliances that you have in the calculator. You can always change the wattage if you know it is different from what is mentioned in the calculator. You can use the “Add Appliance” button at the bottom to keep adding more appliances. To remove an appliance, press the “X” at the end of each row. The list of appliances in the calculator is based on some of the most common appliances that we get queries on. If you do not find your appliance in the list, you can select “Custom” at the end and add your own appliance. Press the “Calculate” button at bottom to get the calculation. Do tick the “Calculate Solar Panel Requirement” checkbox if you want to do calculations for Solar Panels. You can also print the output if you want. Please note that this calculator is good for a regular home setup or for a small requirement. It will not work well for big commercial or industrial setups.